There’s no need to book your next party or event at a crowded and noisy pizzeria or pay for a large delivery order just to have cold pies brought to your door. 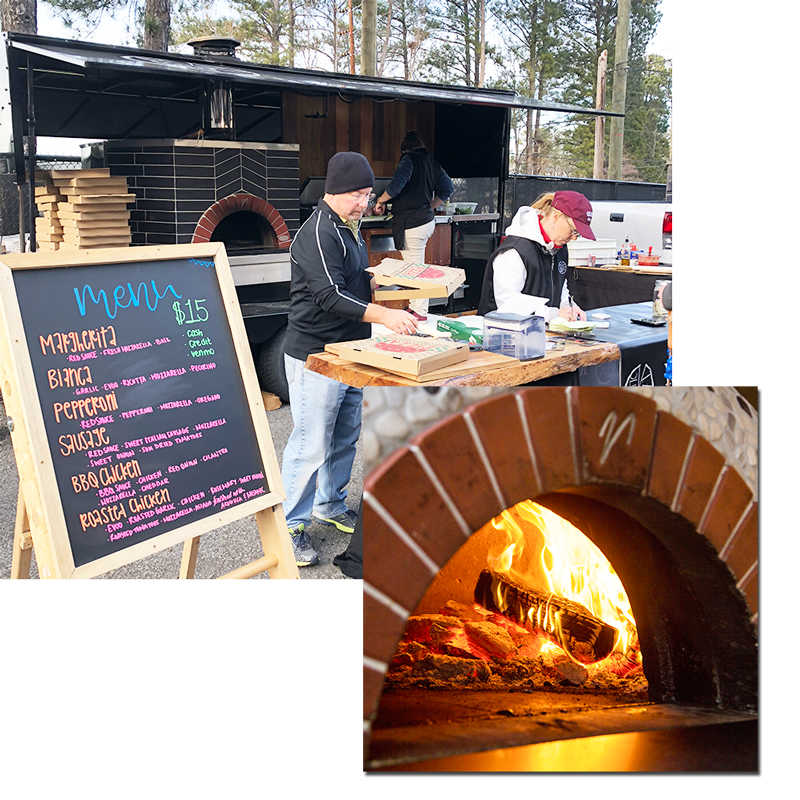 Let Rustic Pizza bring the whole operation to you! 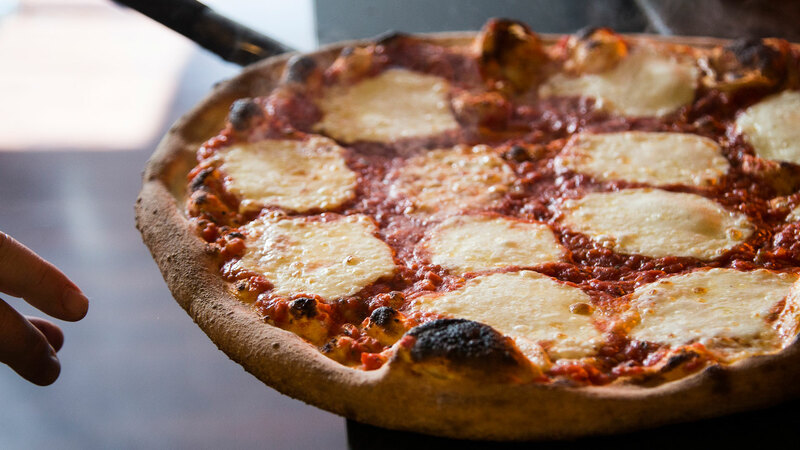 Great pizza comes from great crust and fresh toppings! We start with high quality flour to make our own dough, which results in a crust with a nice crunch and chew. We make our red sauce with San Marzano tomatoes keeping it simple with some added basil. However, our chefs like to be creative and in many instances our pizzas start with a unique base, which may be Extra Virgin Olive oil, or something more unique like fig preserves or candied bacon marmalade. Grilled chicken, sweet Italian sausage, prosciutto, bacon, capicola and duck breast are some of the meat options we utilize for distinct pizza creativity. We use a variety of cheeses including, fresh Mozzarella, Asiago, Grueyere, and Pecorino Romano to provide unique flavors. The combination of flavors comes together with roasted tomatoes, roasted garlic, rosemary and other finishing touches.